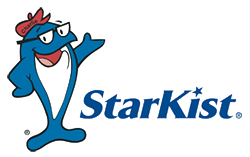 StarKist tuna is an excellent source of protein, with important nutrients like heart-healthy omega-3 fatty acids. Plus, all of our water-packed varieties are low in fat. Many of our can and pouch consumer products are ideal Foodservice applications.